A small cadre of Donald Trump's richest and most prominent Wall Street backers gathered at a high-dollar Manhattan fundraiser Tuesday night in an attempt to shore up the presumptive Republican nominee's near-broke campaign. Tickets for the event, held at Le Cirque, were $50,000 each. About 60 people took the plunge, according toBloomberg. The named co-hosts, including hedge-fund billionaire John Paulson, coughed up $250,000 per couple. Even with those astronomical donations, the fundraiser's total haul — estimated at between $5 million and $7 million — will only modestly improve the Trump campaign's bleak financial situation. 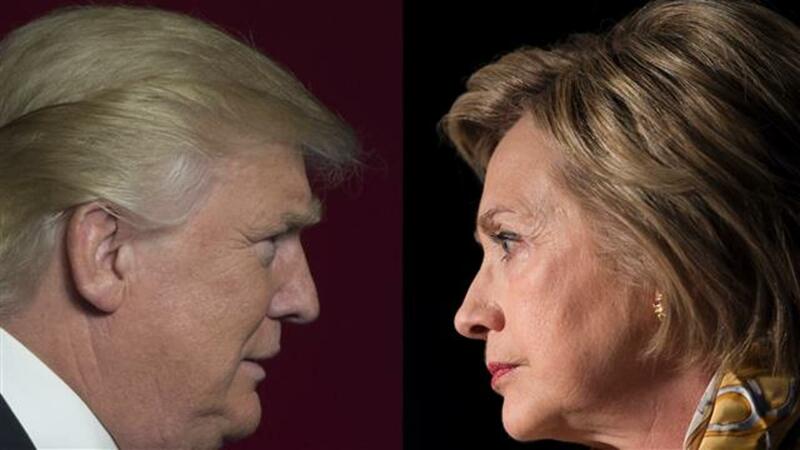 As of the beginning of the month, Trump had only $1.3 million in cash on hand, compared to $41 million for Clinton, based on reports filed Monday with the Federal Election Commission. The bigger gift among Paulson and his fellow hosts might have been attaching their names to the event in the face of a generally souring view of Trump — too erratic, too offensive — among the top ranks on Wall Street. At least in the case of Paulson, there may have been a business motive for supporting Trump: As of last July, the presumptive GOP nominee was an investor in Paulson's funds at a time when others were fleeing because of poor performance. But whatever his reason, the hedge-fund titan is now officially part of the small band of financiers publicly throwing their support behind Trump — others include investors Carl Icahn and Wilbur Ross, Cerberus's Stephen Feinberg, hedge-funders Robert Mercer and Anthony Scaramucci, and former Goldman Sachs executive Steve Mnuchin — even as many of their peers question whether doing so will prove to be reputational poison. The list of prominent hedge-funders who say they won't vote for Trump is growing. It now includes former Romney supporter Dan Loeb of Third Point, according to people familiar with his thinking. Loeb now shares that position with two buddies from the Manhattan Institute, Paul Singer of Elliott Management and Cliff Asness of AQR Asset Management — both lead funders of the Never Trump movement. Ray Dalio, who heads the world's largest hedge fund, Bridgewater Associates, also seems to be anti-Trump: At a recent event held by the David Lynch Foundation for Transcendental Meditation, trascendental-meditation devotee Dalio called the putative GOP nominee an "imbecile," according to one person in attendance. Even Paulson, who donated $1.2 million to Mitt Romney in 2012 and most recently supported Scott Walker's bid to be the 2016 Republican nominee, had to rationalize Trump's flaws. "He discounts all the crazy stuff," says one knowledgeable person, explaining the billionaire's support of Trump. In a presidential election as polarized as this one, Wall Street has played a peculiar role. Clinton was castigated because of her ties to the finance industry by the left, which sees President Obama as having been much too soft on the big banks. After all, no one went to jail for the financial crisis, and the average citizen is still struggling to recover. Wall Street has nonetheless felt burned by the Democrats over such issues as the Dodd-Frank financial reform that forced the banks to unwind their prop trading desks and boost their capital. The top banking executives, such as JPMorgan's Jamie Dimon and Goldman Sachs's Lloyd Blankfein, are both Democrats who've endorsed Republicans in recent years but have also been somewhat friendly to Clinton. They certainly aren't likely to back Trump, and JPMorgan has underscored that by refusing to sponsor the Republican National Convention. It would be too hard to explain to their investors, employees, and international business partners why they're supporting a candidate whose authoritarian tendencies have led a major corporate executive to call him a fascist. That's why the financiers offering to bankroll Trump tend to be a different breed. Most of them run their own show, and some, as in the case of 80-year-old Carl Icahn, who's been a Trump supporter since day one, have had business dealings with the real-estate mogul. Icahn, for instance, bested Trump in a bankruptcy battle over Trump's failed New Jersey casino, Trump Taj Mahal. Icahn bought the casino debt in what became one of Trump's many bankruptcies and, after years of wrangling, emerged the owner. Icahn doesn't have to worry about what investors think of his presidential pick. After losing money in 2007 and 2008, he bought out the investors in his hedge fund and now only manages his own fortune, estimated by Forbes at $16.8 billion after losing almost $7 billion over the past few years, most of it on bad energy bets. Shares in his publicly traded holding company, Icahn Enterprises, have fallen more than 60 percent since its peak in December of 2013. Paulson is also facing financial problems of his own — of a sort, anyway. The 60-year-old is best known for cashing in on the housing collapse, making $4 billion in 2007 betting against subprime mortgages in what has been dubbed "the greatest trade ever." But that was almost a decade ago, and his hedge-fund empire has been in decline for years because of bad bets on everything from gold and Chinese scams to broken mergers and troubled drug companies. His assets have fallen to $13 billion, from a peak of $36 billion at the end of 2010. The vast bulk of that — about 75 percent, or $9.8 billion — is Paulson's own money, as intermittent years of losses have led investors to flee. Last year alone Paulson's assets fell 22 percent, according to Absolute Return, a hedge-fund-data provider. They are down another $1 billion this year after more losses prompted JPMorgan's private bank unit — one of the biggest hedge-fund investors — to yank its entire investment, individuals familiar with the decision said. At a recent hedge-fund event, the billionaire mused that he might soon be running a family office (that is, only managing his own money), according to people who heard him speak at the private affair. Paulson declined to comment. Such a move might be inevitable — or at least smart. But at a time when hedge funds are under intense scrutiny for the politics of their investments and their returns, a Paulson family office would no longer have to worry about offending public-pension-fund investors or sovereign wealth funds by backing a U.S. presidential candidate known for bashing Muslims, Mexicans, women, and even the disabled. Another co-sponsor of this week's Trump fundraiser is self-professed gun nut Stephen Feinberg, 56, of Cerberus Capital Management, which was one of the most powerful hedge-fund and private-equity giants of the pre-2008 era. Its investors fled during the financial crisis, and while Cerberus has managed to come back, it hasn't done so without controversy. After the Sandy Hook Elementary School massacre in 2012, the massive California Public Employees Retirement System, among others, wanted out of Cerberus because it has become the biggest gun owner in the U.S., having bought Remington Arms, which makes the Bushmaster rifle used at Sandy Hook. Cerberus vowed to divest of the gun-makers, which it had renamed — without a trace of irony — "Freedom Group." So far it has been unable to find a buyer. Then there's Trump's finance chair, Steve Mnuchin, 53, who seems to understand the presumptive candidate's bankruptcy model of doing business. Mnuchin's claim to Wall Street fame is being a former Goldman Sachs banker, but that was a long time ago. Since then, he's done a brief stint with hedge-fund operator Eddie Lampert, who arguably has spent the last 15 years trying his best to destroy the company he now runs, Sears, and who most recently was the co-chairman at long-troubled film company, Relativity Media, leaving just before it slid into bankruptcy. "We can all agree Trump's comments are incendiary," Scaramucci, who has become Trump's most stalwart defender on Wall Street, told Daily Intelligencer. "But he's not a demon." Scaramucci argues that Trump will start to moderate his positions and soon will "look like the negotiator and deal-maker that he really is." Distressed debt investor Wilbur Ross — a fellow GOP stalwart — offered the same line last week on CNBC, where he came out for Trump. Yet, just three days after Scaramucci said that, Trump was suggesting on CBS that the U.S. engage in more racial profiling. A more common view among elite investors, at least according to the informal sense of many well-connected Wall Streeters, is that it's too late for Trump to change. "He's shown his true (and abhorrent) colors," hedge-fund manager Whitney Tilson of Kase Capital wrote in an email he sent out to 3,000 people in the investment community on Friday. "A month or so ago, one could have argued that he was just playing a role during the primaries, pandering to the far right, angry whites, etc. to win the nomination, but then, having secured it, would cleverly pivot back to the center and position himself as a pragmatic, business-oriented guy and stop whipping up hatred toward just about everybody except white men. That argument is now in shreds. It's now clear that he has no coherent ideas or policies — he is just about fomenting hatred, nothing more." Tilson, a Democrat, also warned his Republican friends that supporting Trump would hurt their careers. "The risk that your personal reputation is materially and permanently harmed has gone up a lot because, while you obviously haven't (yet) reached the conclusion that he's a monster, that's the emerging consensus view, so the reputational cost of tying yourself so closely to him has gone up materially." He acknowledges, however, that there is a case to be made for being one of the few finance people tied to Trump should he beat the long odds and win. "As one of his few supporters, you'd have great influence and could probably have your pick of a number of cabinet positions." Icahn has already stated he has no interest in being Treasury secretary, but the post might interest Paulson, who is one of the most fervent gold bugs in the hedge-fund industry. Paulson owns gold-mining stocks and gold ETFs, and even has a hedge-fund share class denominated in gold. He has boldly stated he believes that "gold is a currency." Well, maybe in a Trump administration.